It was not long after the publication of this story that Twain traveled to Hawaii, then known as the Sandwich Islands, to work as a reporter for the Sacramento Union. His work mainly consisted of writing travel letters which were very well-received by readers. The letters focused on humor as well as the Sandwich Islands and the success of these letters became the basis for his frequent lectures. During the 1860s, lectures were an astoundingly popular form of entertainment, much like going to the cinema today. Twain's lectures offered humorous accounts of his trips to places like the Sandwich Islands, Paris, Egypt, and various locations along the Mediterranean. These lectures, beyond providing him with additional money to finance future travels, also brought more attention to his written works. This allowed for the publication of a collection of his travel articles on a trip to the Hold Land, The Innocents Abroad, as well as a semi-autobiographical account of his time spent in the west as a miner. This pseudo-memoir, Roughing It, is an example of the humor that eventually plays a large part in the majority of his work. Roughing It also served as a partial inspiration for the television series Bonanza. Twain published his first novel in 1873. The Gilded Age: A Tale of Today was written with his friend and neighbor Charles Dudley Warner based on a challenge issued to them by their wives. While the use of humor and satire was praised in the novel, it was not considered successful due to its lack of cohesion, and understandable problem since it was written in separate chunks by the two writers. One reviewer compared it to a poorly mixed salad dressing. The novel satirizes society and government in the post-Civil War era. Because of its topic, the novel has remained in print and is considered relevant today. Twain's next attempt at a novel was much more successful. And that is an understatement. 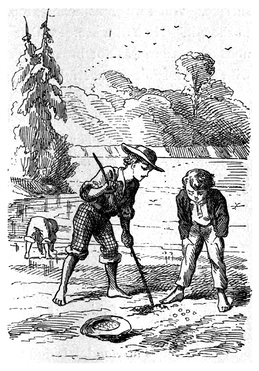 Published in 1876, The Adventures of Tom Sawyer is one of the most critically and commercially successful works of children's literature in history. Praised for its humor and depiction of life in Missouri along the Mississippi River, the novel is still in print today and has been adapted into television shows, films, stage plays, and even video games. The book also inspired a sequel which is even more revered than the original: Adventures of Huckleberry Finn. Huckleberry Finn is considered the first Great American Novel and has been studied and banned in schools since its publication in 1885. Besides being considered incredibly vulgar at the time, the humor, one of the hallmarks of the novel, was said to be unsuitable for women and children. 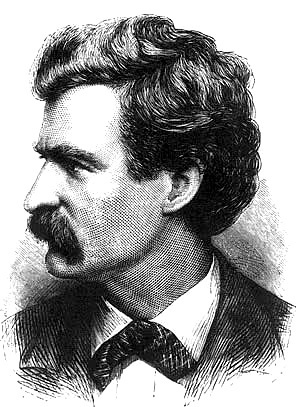 Still, Twain's impressive use of vernacular English and colloquialisms, humor, and harsh satire of racism ensured him a place among the greats of American literature. Though none of Twain's novels approached the success of The Adventures of Tom Sawyer and Adventures of Huckleberry Finn, many of them still incorporate the characteristic humor and satire for which the author is known. A Connecticut Yankee in King Arthur's Court takes an engineer and transplants him to Camelot, where he overthrows Merlin as Arthur's chief adviser and subsequently destroys everything with his attempts at modernization. Mark Twain was widely respected during his lifetime for his poignant satire, characteristic humor, and much-loved characters. His work continues to be printed, read, studied and adapted today. His much-deserved place in the literary canon is cemented just as much by his work as a humorist as it is by the serious themes and issues in his novels.